In 1999 the Irish Times ran a piece featuring the work of archaeologists who had been digging an area of Dublin once occupied by the Viking. They found underneath the Viking Settlement a Saxon dwelling. Logic tells us that this would not have been a single dwelling but part of a Saxon settlement which was either found, or the archaeological dig stopped there. 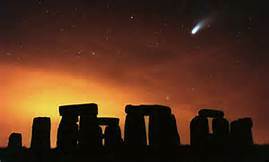 I am aware that there is no record of the Saxons being in Ireland, but there may be another explanation for this. You will notice that the area now known as Leinster was occupied by a tribe known as the Cauci; this tribe is clearly the Chauci who were yet another Germanic Tribe here in these islands at this time. However, this tribe is of interest to us since they lived in Germania between the River Ems and Elba, and were related to the Angles and Saxons. It is thus quite possible that this tribe were the ones that give us the 'Saxon Dwelling' in Dublin. The Saxons were a confederation of tribes and the Chauci seem to have been absorbed into this in later times. 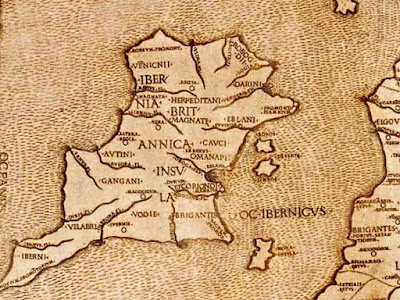 The Gangani - We have looked at these in regard to the Tegeingl/Deceanglii and here they were in Western Ireland, before moving over to Leinster. The Gangani are usually said to have been in Connaught, but here they seem to have been in the area of Limerick in Munster. The Hiberni - These gave their name to Hibernia which was once a name used of Ireland. The Brigantes - also dwelt in Northern England. 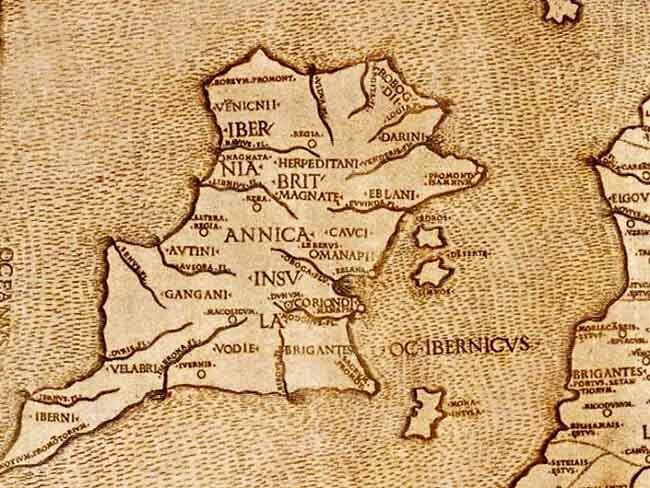 The Coriondi - May be the same as the Coritani who lived in the Mercia area. In regard to the Gangani there seems to be a problem here since some scholars have noted that they moved from the mainland across into Western Ireland which was the only area free for them. They are recorded as living in the area of West Gwynedd whilst the Tegeingl lived in East Gwynedd and Anglesey, with the Ordovices in between. But they are also recorded (and not shown on Ptolemy's map) as living in the Leinster area of Ireland. I believe the Gangani name means 'to wander'. We see this the the title Waldganger - forest wanderer. Thank you Runebinder and I think you are right there; indeed this clears up some more points. The OE 'gangan' means 'to go' or 'to turn out' which ia reflected in Old Saxon, Old Dutch, Old Frisian, Old High German, Old Norse words 'ganga' meaning the same. Thus 'to wander' which is also connected to Woden as 'The Wanderer'. These were thus most likely a Germanic Tribe living in Ireland and then North Wales, and since they seem to have disappeared there it is likely they were merged into the Tegeingl which is recorded into later times. When considering the movements of Germanic Tribes in the Folk-Wanderings, and that there are so many that show that close-kin tribes seem to appear next to each other at different times and in different places there could be a close-kin link between these two tribes. I have guessed at the link with the Gungingi but this seems quite feasible in view of the tribal links between the English and the Langobards. We should note that the nearest to 'Gangani' is the OE and OS 'gangan' which is interesting.